Greenaway Mini Bookcase | Great Little Trading Co.
Short of space? Make the most of every inch with our new, smaller Greenaway bookcase. 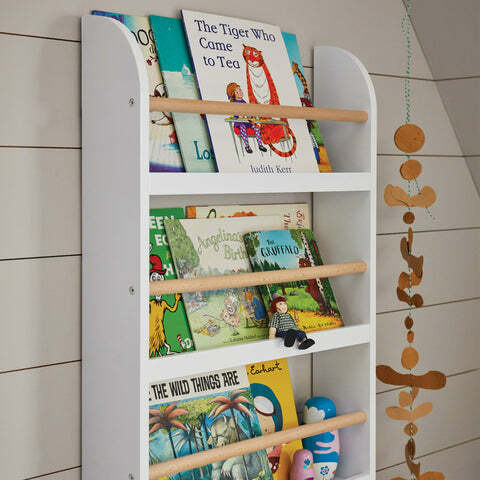 It has all the front facing practicality of the original designs, so that children can find their favourite reads easily, but it takes up less wall space. It also comes in two larger sizes: the Skinny is available in Grey, White or our New White/Natural design; the original Greenaway is available in White or Grey. 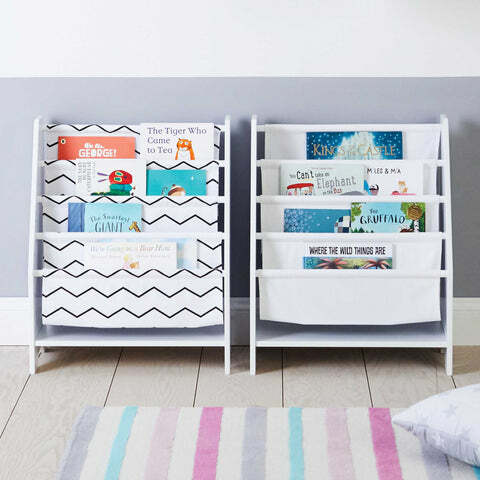 If you like the idea of gallery style book storage but don't have the wall space, try our freestanding Sling Bookcase, which comes in four designs.